Hey there and Merry Christmas! Here you’ll find a master list of the ornaments as they are released in one handy place – neat, huh? 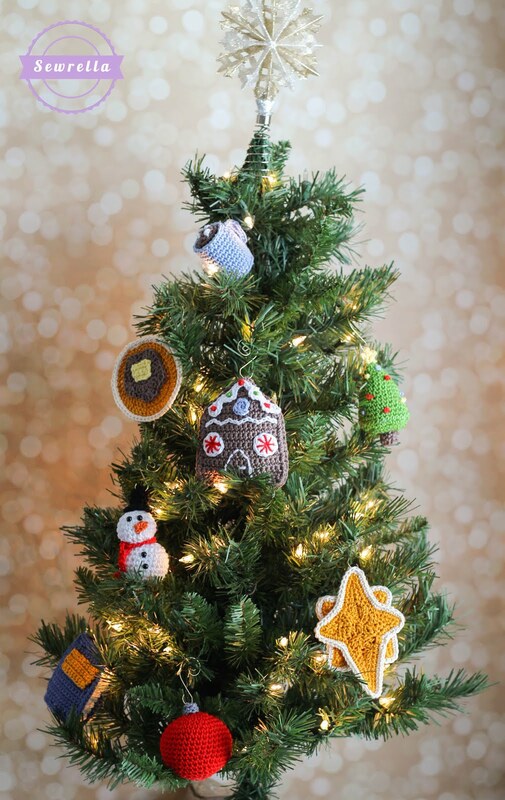 I’ve teamed up with Lion Brand Yarn to bring you an extra special kit with all the yarn you need to make this entire crochet-a-long – along with all 25 ornament patterns printed and delivered to your door! That’s 29 skeins of 24/7 Cotton yarn (my very very favorite yarn to work with – it’s unlike any cotton I’ve ever used. It’s smooth, shiny, durable, and perfect for heirloom ornaments like these! As an extra special treat to celebrate wrapping up this project, they are putting the kit on sale for 25% through Christmas, and there is also free shipping this week! So be sure to grab this kit soon! If you’d like all the other details on this how this Crochet-A-Long works, CLICK HERE! CLICK HERE for the free printable list of Ornaments and Traditions to give with the set as a gift or keep for your own set!